Hello fellow electronic security buffs! We are currently looking for an engineer with skills in access control and CCTV installation and maintenance, to work in Central London on a full time basis. Van and phone provided. Salary negotiable. Please get in touch if you are interested or know of anyone that might be. Thank you. Hi Everyone, One of our clients has acquired a portfolio of properties, one of which as a PLAN system in place. Unfortunately we aren't a PLAN partner so would be keen to receive some recommendations on some firms who are accredited to service and install their systems. Any ideas? ps. property is in London. Thanks! 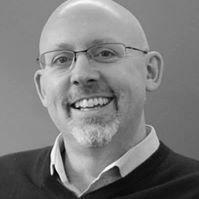 Hi There, I'm Paul starting as a sole trader in the Southampton area from April 2017 avaialble for all types of design, consultancy, installation and commissioning of all types of security systems. Over 20 years experience in the industry. The last 9 years working in a AV/Security integration company in London. Now relocated to Southampton! Are you still using traditional proximity card and fingerprint for access control? My company has a new product may change the future of access control. You can own multiple identification technologies, and control the door from anywhere now. We make use of cloud service and smartphone, to let you spend less, but own more. You don't need to buy other devices, the only thing you need is a smartphone. Almost everybody has a smartphone now, so I think it's very potential. The picture shows how it works, are you guys interested in it? Is UL listed important to you? Seems in many area, UL is mandatory. As a manufacture, UL is super expensive. I think it's a high barrier for small brands to compete in North American market. Will you use any access control product that is without UL, if you know its performance is proven? Hi, I have some news for you. 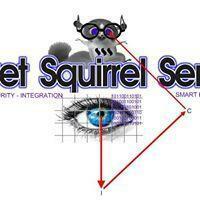 Our company developed a high standard security platform, can fulfill most needs in security project. It includes access control, cctv, alarm system and etc. There are many cool features: 1. Access Control + Video Surveillance + Alarm System all-in-one platform. To manage all security modules as a whole design. 2. IP connection realize global deployment, centralized global management via one platform. 3. Security is a whole system, automatic interaction makes your system smarter. 4. Top security. Diverse security strategy and encrypted communication ensures 100% security. 5. Mobile access control, to control your doors with smartphone 6. Widely applicable in all industries. We are gathering feedback and any cool ideas about security platform. If you guys have any cool idea, please reply in this topic. I will forward them to our R&D. Arron posted a topic in ! !..DIY Installers..!! Hi guys, I'm a engineer from an Chinese access control company. We are designed a mini access control DIY set that will be economic and practical. Now, most of small corporations would like to choose the all-in-one standalone access control system, which is a controller, reader all-in-one design, and the control module is placed outdoor. As a criminal with a little knowledge in engineering, he will know how to hack the control module easily. This is why all the professional controller and readers are separated design. To make an easy access control system that both easy to use and safe, we designed a new access control DIY set. Even though for safety, it's separated design, the installation is even easier than normal standalone system. Moreover, we developed an APP to let users control and manage the system easily. This design will lead the trend of future small access control systems. If you are interested in it, please leave comments here. 2 Man team looking for work (installation/service) in all fields (fire/cctv/intruder alarms and access control). First and second fix, both have ECS/CSCS cards. South East area preferably, but would consider travelling further afield. I am looking for someone with the following skills and abilities. Link removed - please familiarise yourself with the forum rules prior to posting thanks. They must have between 3 & 5 years experience within the Intruder Alarm industry Their knowledge should extend to cover current and historic installation standards. They should be comfortable working alone and as part of a team. Their primary role will be to carry out preventative and reactionary callouts during the day, and therefore must have a comfortable knowledge of commonly used components. They will be asked to fulfil a position within the out of hours on call team, currently this will mean they are on call once in every 3 weeks. During periods where there are no call-outs or booking they will be asked to help the installation team complete project work. An ability to install signalling devices such as Redcare, digital communicators and IP communications, Including Redcare GSM, Redcare Secure IP and digital communicators The candidates knowledge should include some of the following systems Texecom (our current preference) Scantronic Castlecare Galaxy We also install CCTV, NVR's and Access Control Systems.. So the following experience would be really helpful although not essential at this stage. Installation, configuration and commissioning knowledge of IP and analogue CCTV systems - we have historic projects with Dedicated MIcros, but our future specifications are based around Samsung and Pelco Access Control Installation, commissioning and maintenance of Access Control Systems - Paxton and BPT are our preferred manufacturers, but we also install Siedle Entry systems for high-end single occupancy dwellings. Soft Skills ​Must be presentable Must be punctual Must have good client facing skills Must be able to work under pressure Must have a full and clean driving licence We are a progressive System integration business that prides itself on offering the best possible service to high net worth clients within central London. Our installations range between small upgrades to large MDU's. 25,000 PA to £32,000 starting salary depending on experience - this will be reviewed after a 3 month probation period. We will provide a Van, a Laptop and a company phone. We will also provide manufacturer training and in-house tool-box talks We offer 20 days annual leave PA for the first 2 years, this increases to 23 days PA after this period. 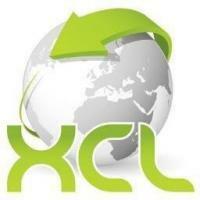 I would like to introduce to you all XCL Management a preferred supplier of temporary and permanent personnel for many highly respected companies within the global engineering market. With a wealth of experience in the recruitment market and the knowledge of out dedicated consultants and resourcers, we are confident in providing you with the best solution to your recruitment needs. So if you are an employer looking for potential employees or a job seeker looking for a new and exciting role contact me for an informal/confidential chat either email directly via inbox or or call .